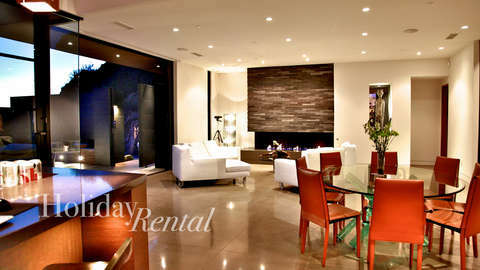 Standard occupancy is 12 guests. 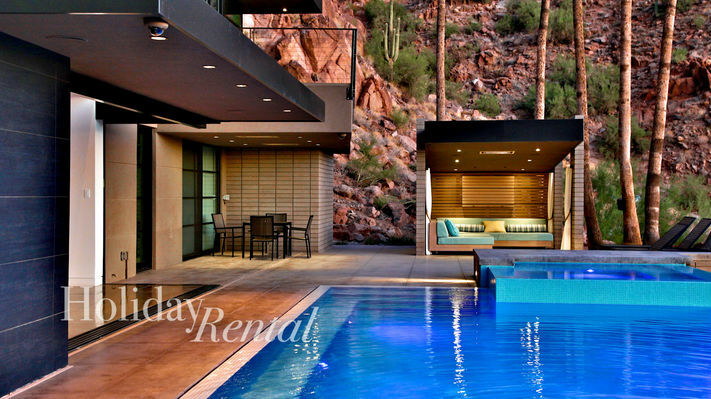 Maximum Occupancy is 16 guests. Book your stay today in this custom built, sleek modern design. 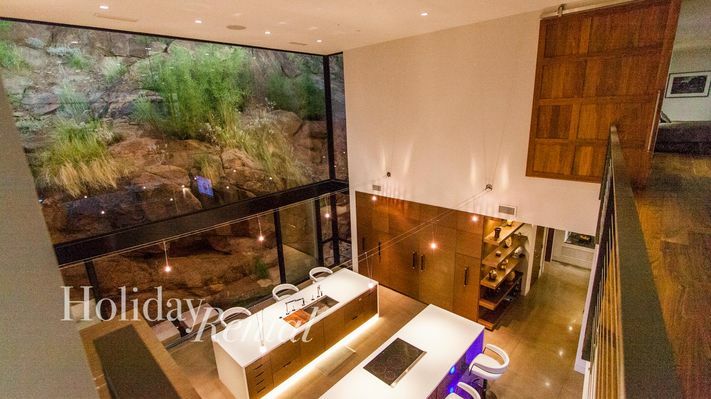 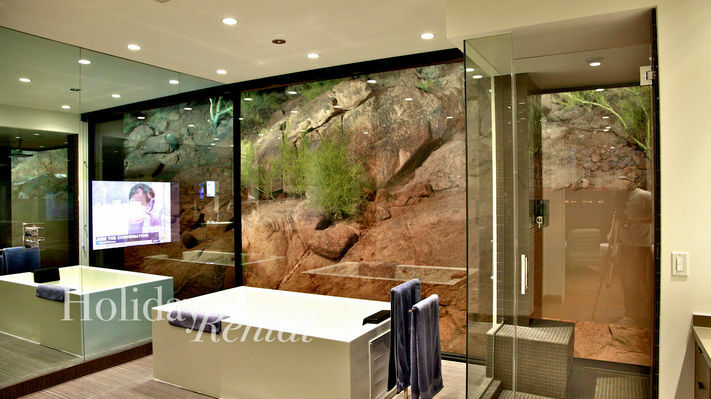 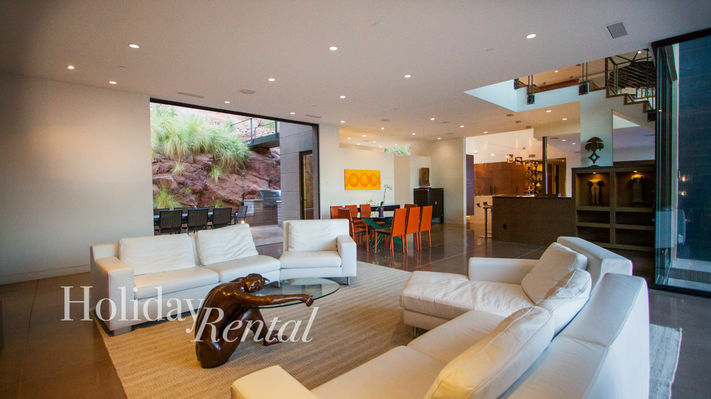 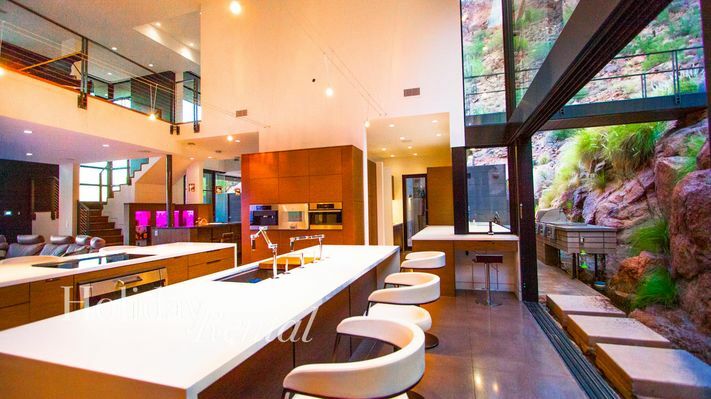 This hillside luxury home is located on Camelback Mountain, which provides aerial sunset, desert, city light and Mountain top views of Downtown Phoenix and Tempe. 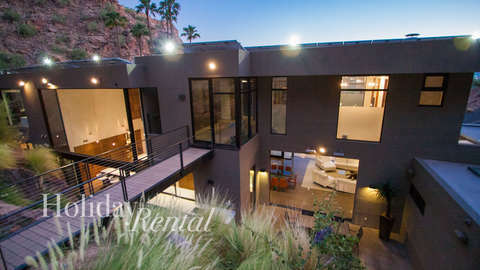 Your very own suspension bridge is located in the back of the house and leads to a tranquil, private hiking trail in serene desert. 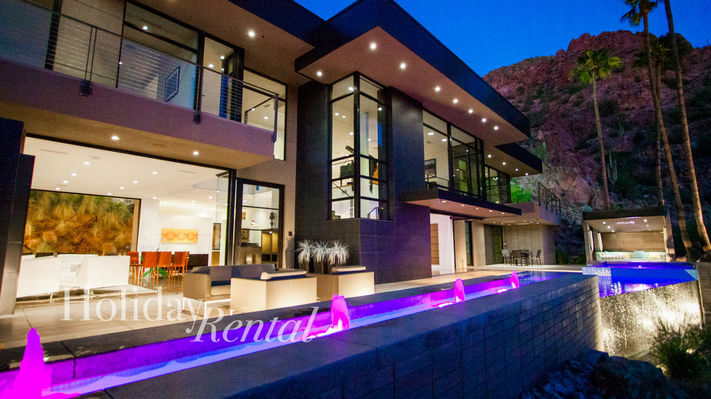 The sophisticated open concept luxury home features floor to ceiling windows and sultry mood lighting after the sun goes down. 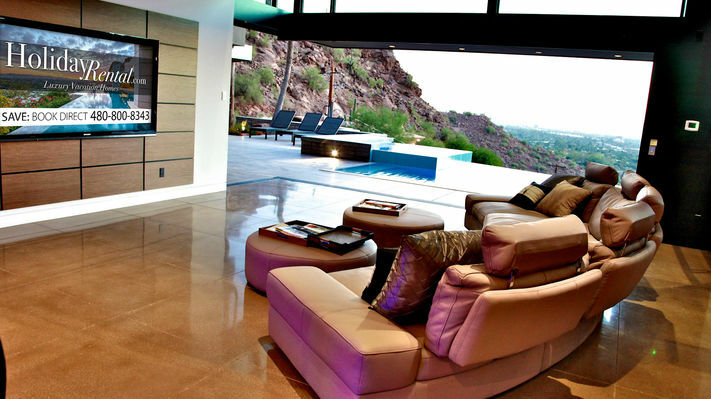 Lounge in the infinite pool, outdoor villa, or Jacuzzi while gazing at the expansive city views. 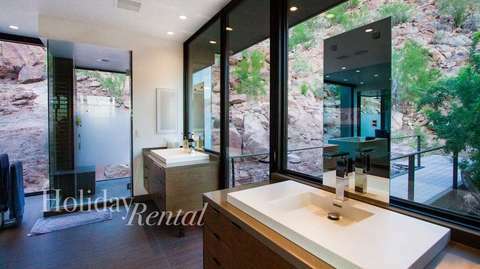 The bathrooms offer spa like amenities for all your relaxation and pampering needs. 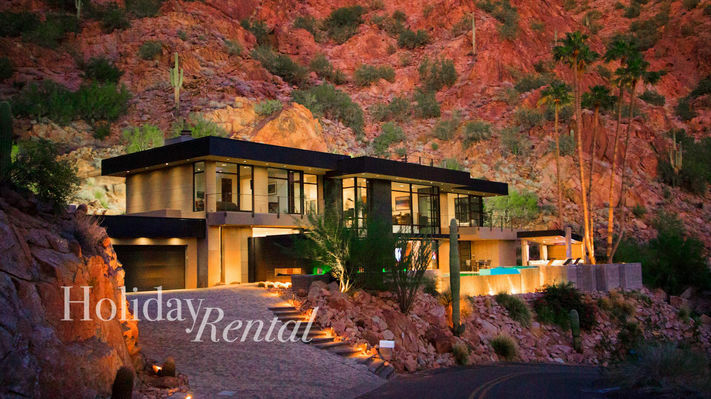 Camelback Retreat features fully enabled Smart house technology for the convenience of you and your guests. 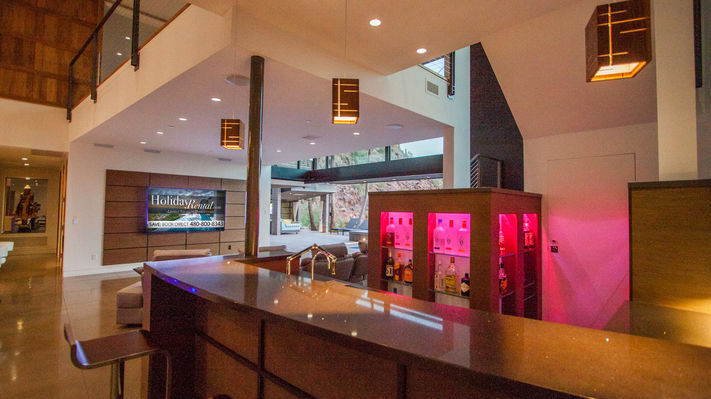 The wide-open kitchen and custom bar are the supreme place to entertain and socialize with friends and family. 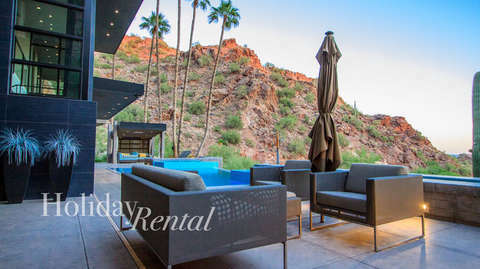 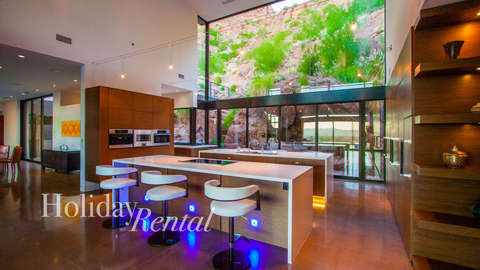 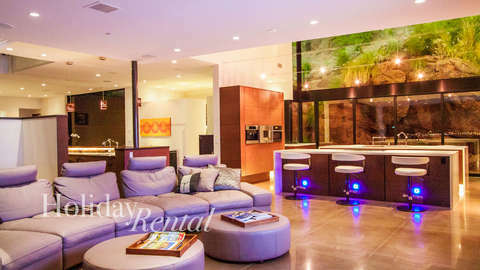 This luxury vacation rental is located just 5 minutes away from old town Scottsdale, where you can treat yourself to a steak dinner at Mastro’s City Hall or grab a cocktail at the W hotel bar. 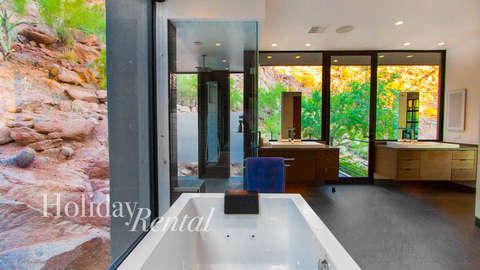 This sleek Scottsdale Retreat offers 5 bedrooms with En-suite bathrooms, and 7 beds in total including a pullout couch. 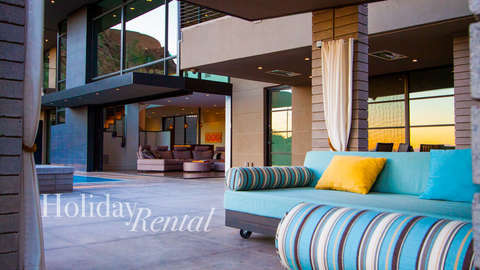 The home sleeps 12 total with a maximum of 16 guests. We can provide two extra rollaway beds for an extra fee. 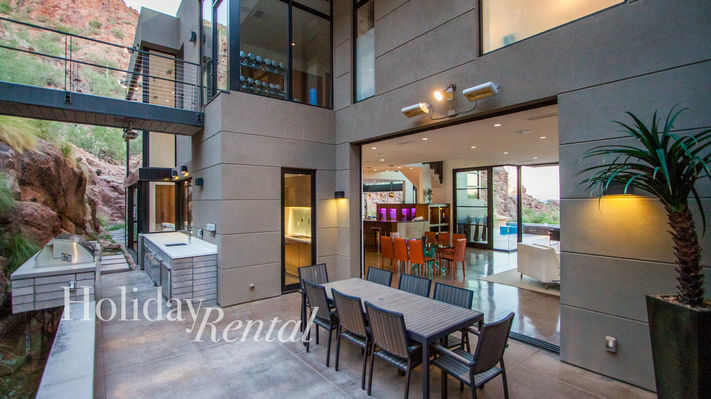 Treat yourself to a stay in this custom build over-looking the city, at Camelback Retreat.